Push basil into a clean 12- to 16-ounce bottle. 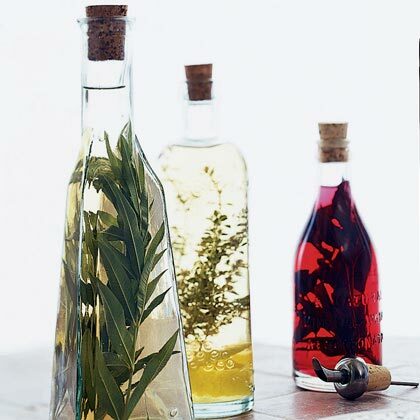 Fill bottle with white wine vinegar (vinegar should cover herbs completely) and seal. Store in a cool, dark place at least 1 week or up to 4 months.